Hello! Have you seen our new bundle Swirly Bird stamps and Swirly Scribbles framelits? There are so many ways to use this set and I personally adore this USA flag! 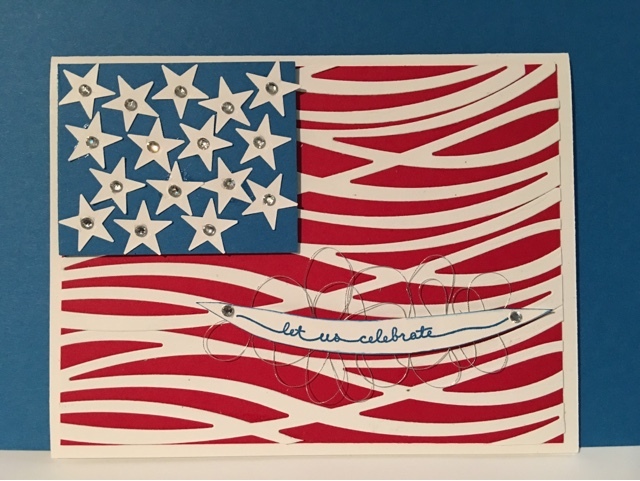 Patriotic pride bursts from this design. It is strong, celebratory and bright! I hope you will enjoy making some in your creative time. Products are posted at the end to link to my online store. 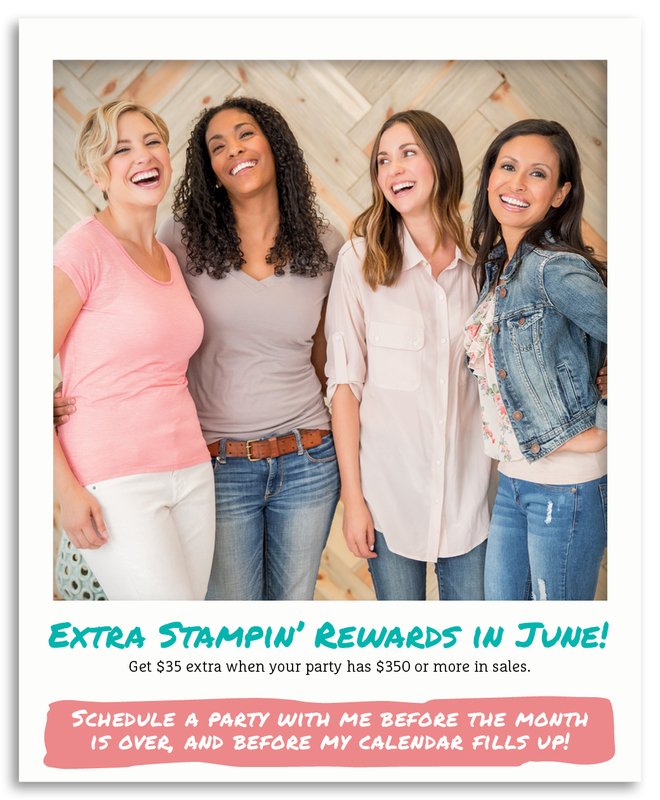 BONUS Stampin' Rewards in June! Host a party or class with $350 sales OR place your own wish list order of $350. Either will get a bonus $35.00 in Stampin' Rewards in addition to your standard $42.00 of Stampin' Rewards. June is a great month to grab a bargain! Thank you for visiting my blog. I love to read your comments and help you with product selection. I always enjoy to see your projects and creativity. Thank you for shopping with me.